You would think that a 1000 horsepower Formula 1 engine would get a bit more press than this. You're looking at the Ford TEC, also known a the Cosworth GBA. 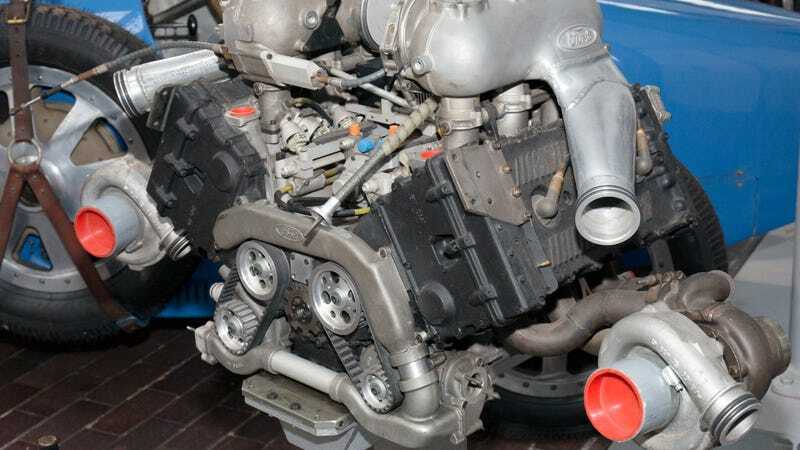 Designed by the same guy who helped create the legendary Cosworth DFV V8, this was a 1.5 liter twin-turbo V6 that raced in only two seasons and with only two teams. It started out making around 900 horsepower in 1986 with Lola-Haas and worked up to over 1000 with Benetton in 1987. I guess when you're up compared to a 1300 horsepower BMW engine, your 1000 horsepower motor gets forgotten. Here's a very detailed report on this completely amazing motor that nobody really talks about anymore right here on MotoIQ. The opening lines on why Cosworth argued to ban turbos from F1 are particularly interesting. Here's a little documentary on the development dug up by Hooniverse as well. Is this the coolest race engine that nobody seems to remember?